This mosaic of land ownership across the prairie underscores a significant quirk of US history: the federal government simply never granted homestead claims large enough to support a viable agricultural operation in the arid American West. A 160-acre farm may have been viable in Ohio or Virginia, but it was ill-suited for the arid landscape of eastern Montana. 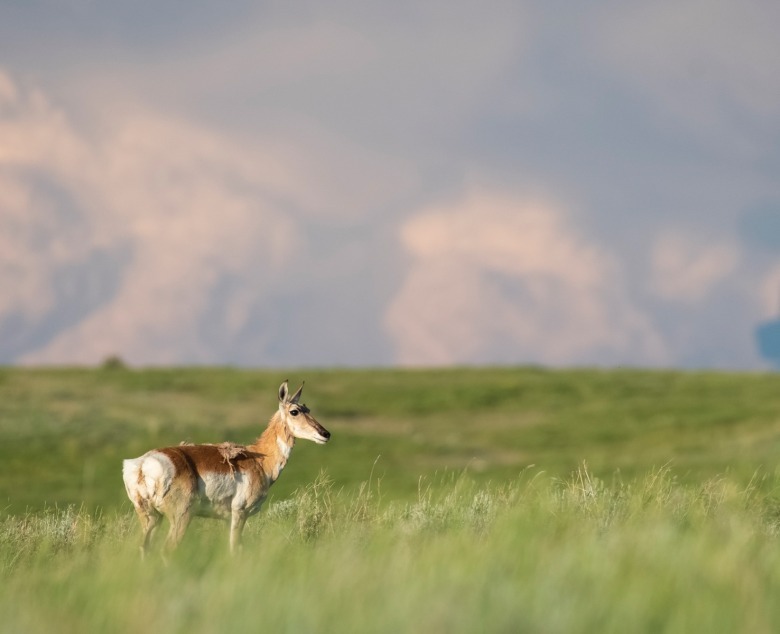 Home, home on the range: pronghorn are among the habitat beneficiaries found on the American Prairie Reserve. 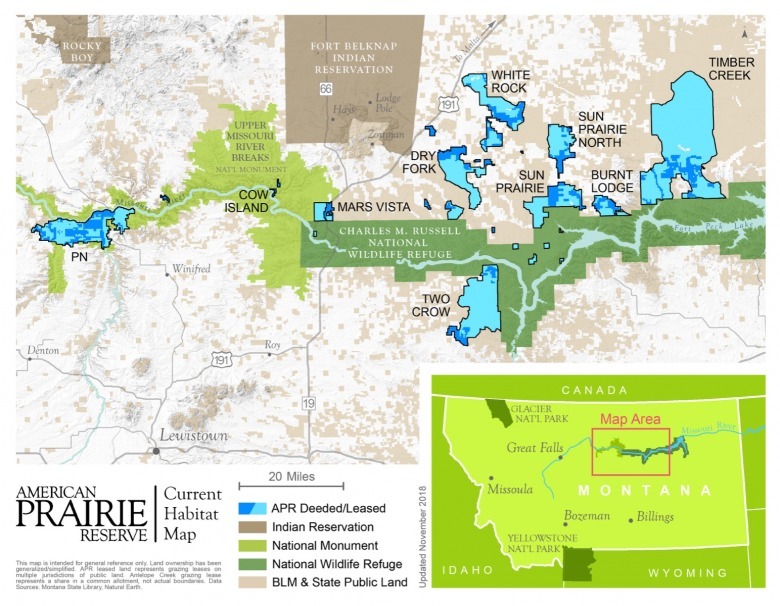 APR is dedicated to restoring and rewilding what was once one of the most biologically rich ecosystems in the West. Photo courtesy American Prairie Reserve. APR’s project is possible thanks to the fact that bison are considered a form of livestock in Montana, and therefore can satisfy the livestock grazing requirements of the group’s federal grazing leases. When APR acquires a property with a public grazing lease, the group applies for a change-of-use permit from the BLM to allow bison to graze there instead of cattle. Rights to natural resources were generally defined and maintained based on "use" of the resource— for example, by using water to irrigate crops, by making the land productive to “prove up” a homestead claim, or by extracting oil and gas or mineral deposits. “Use it or lose it” is a common phrase associated with western water law, which requires that water-rights holders put water to a legally defined “beneficial use.” What constitutes a “beneficial use,” however, has traditionally been limited to extractive or consumptive activities. 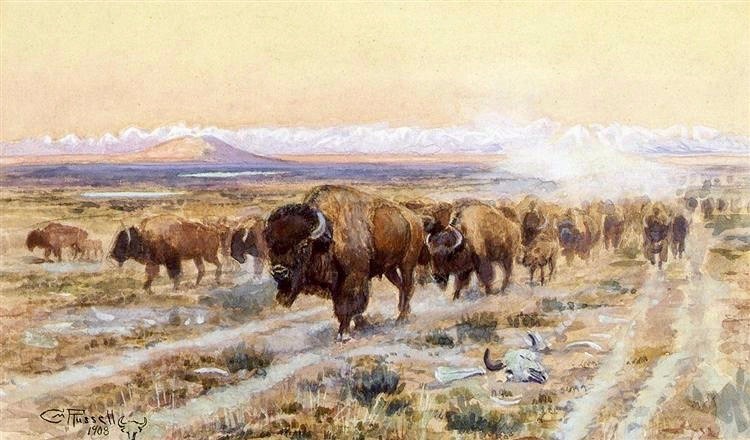 The fundamental challenge for pragmatic rewilding efforts, then, will be to find ways to turn wildlife into an asset instead of a liability for the landowners and communities that bear the costs of rewilding. 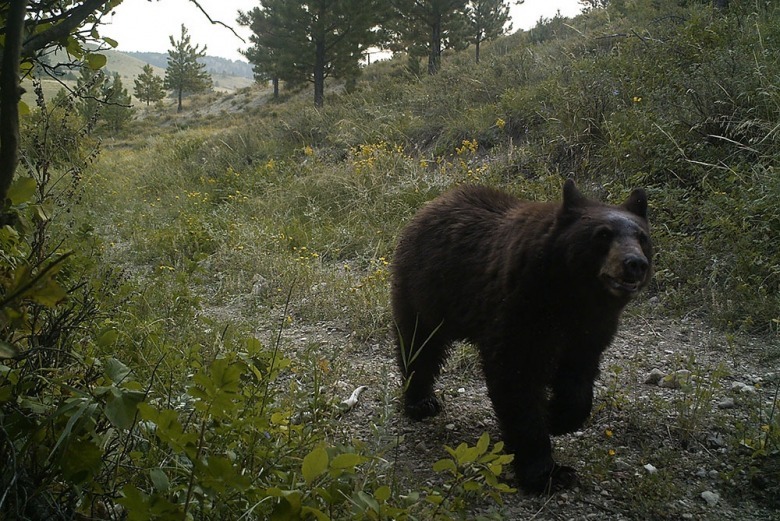 Some creative conservation groups have made progress on this issue in recent years. 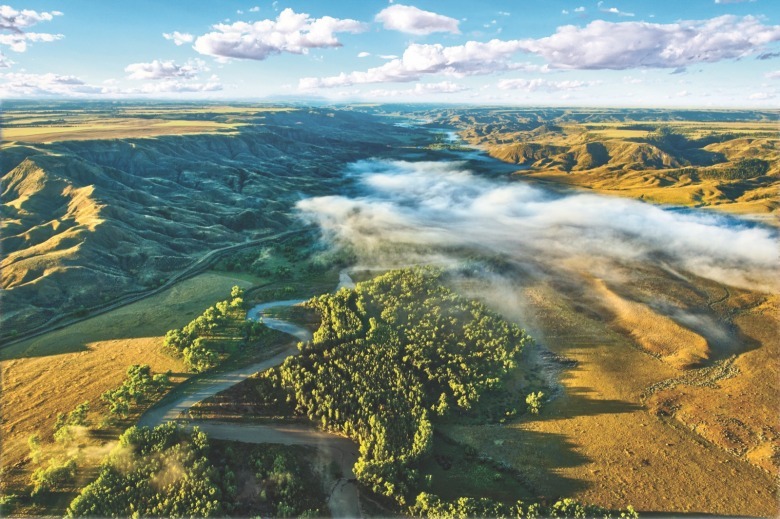 APR’s Wild Sky Beef initiative — making incentive payments to landowners who engage in wildlife-friendly management practices — is one innovative model, though it is still in its early stages. 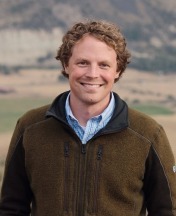 Defenders of Wildlife, another conservation group, has compensated ranchers in the Greater Yellowstone region whose livestock were killed after wolves were reintroduced to Yellowstone in the 1990s. The Nature Conservancy pays rice farmersin California’s Central Valley to provide migratory bird habitat. 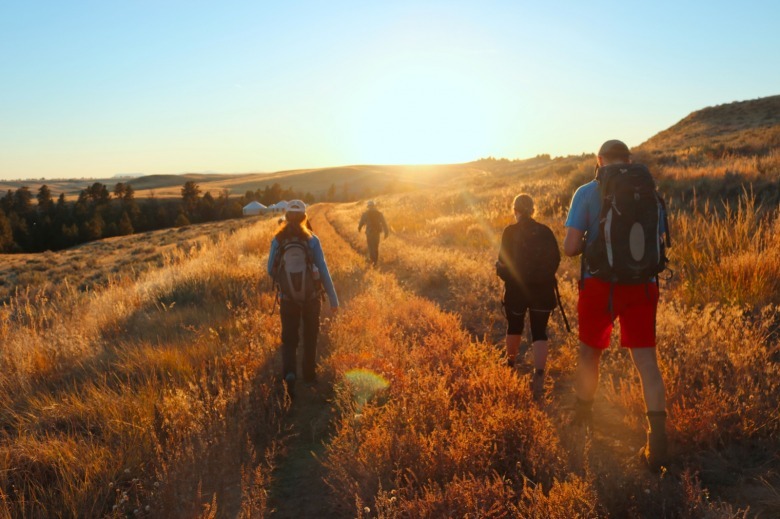 And the Environmental Defense Fund has developed a habitat exchange programin several states that pays farmers to enhance habitats for monarch butterflies — a species that, after decades of population declines, needs to be “rewilded” in vast areas of the United States. 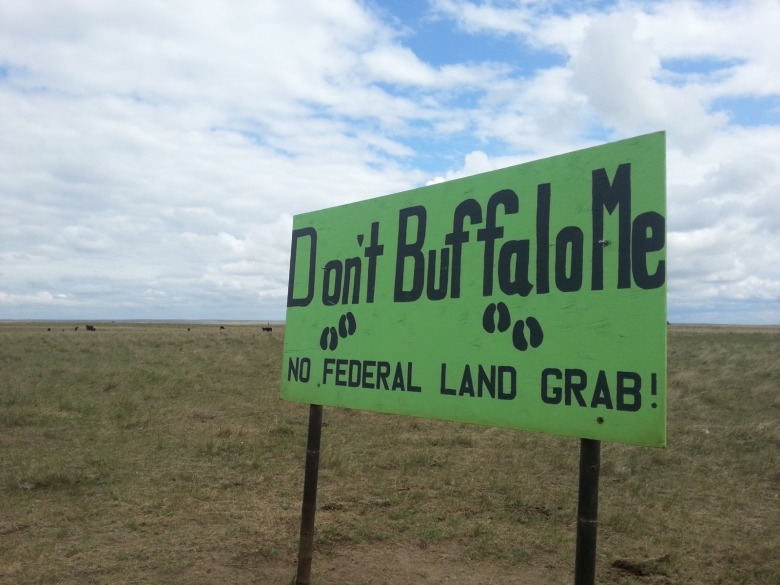 Despite APR’s free-market approach to acquiring land rights and to compensating other local ranchers for the impacts of wildlife, its project remains remarkably divisive. 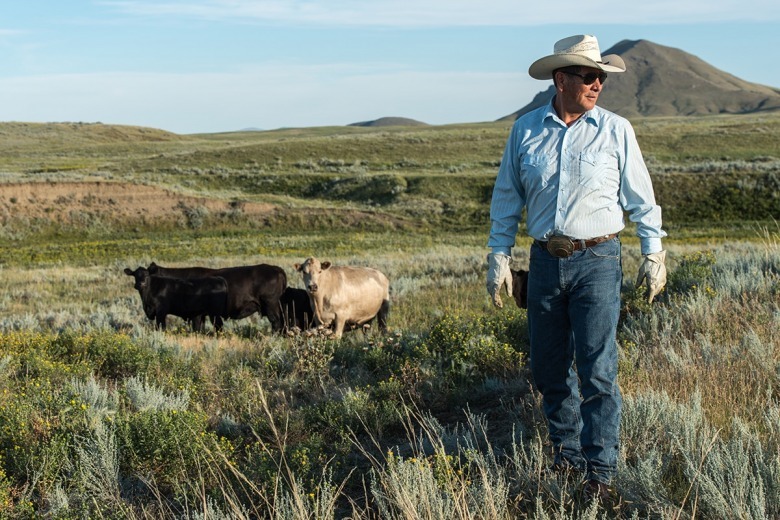 Whereas an environmental economist might emphasize the welfare-enhancing benefits of a simple market exchange in which an individual rancher sells land to a conservation organization, the experience of APR paints a more complex picture of the broader distributional consequences.